John Sungail 2014 Shark ’em Champion! 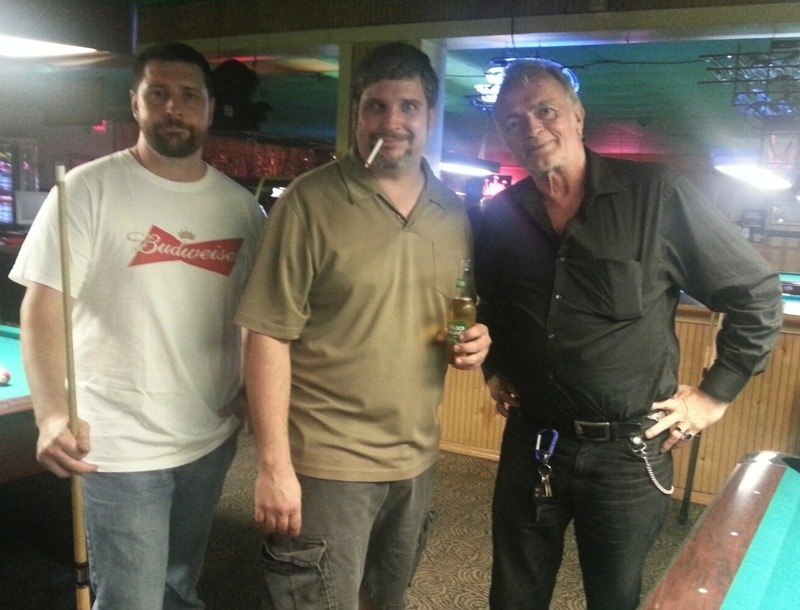 May 15, 2014 (Palm Beach Billiards) – Congratulations to John Sungail, 2014 Shark ’em Champion! Not only did John win the tournament this year, he wins the award for sharker of the night. John was the epitome of what it takes to be a great sharker! This was our third year having this event, which is back only by popular demand! The format was a race to one, 8-ball, double elimination. Thanks to everyone who came out to shark and be sharked! Thanks to Al for the tasty homemade collard greens (and fart machines), Cesar Wade for the yummy cornbread, Mike Sr and Paulie’s girlfriend for the macaroni salads, and thanks Jerry for BBQ-ing all those ribs! And a huge thanks to Mike Sr. for adding $100 to the pot! Thanks to everyone for being great sports. This was the best event yet! Some of the games can be viewed on the Palm Beach ACS Stream page at http://palmbeachacs.com/stream/ or on Ustream. Warning: this was not a respectable tournament. Please excuse any vulgar language (it’s only once a year)! Congratulations to Brandon Howard (left) on his second place finish, and Dan Moran who finished 3d (right). John Sungail (center), winner ! It wasn’t easy!!! But everyone had a great time!